From the multi-million selling FINAL FANTASY franchise comes a brand new trading card experience! 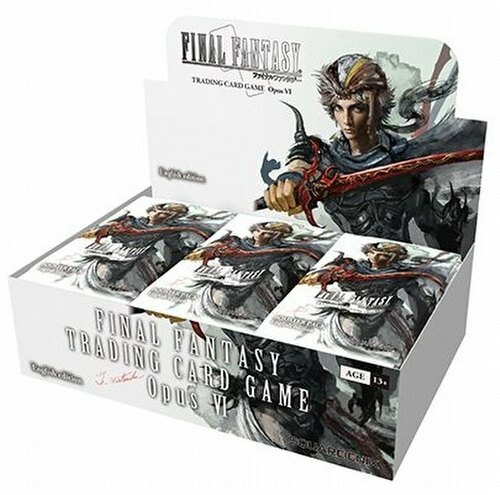 Opus VI has even more cards for players to collect. 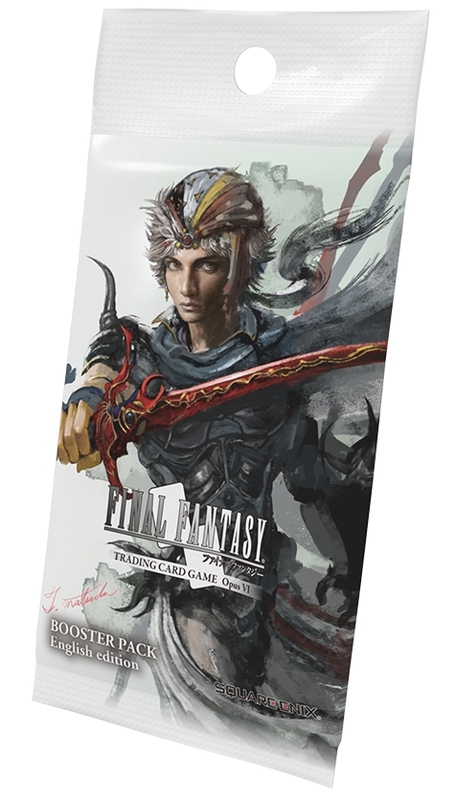 Opus VI enhances the play experience and collectability, featuring popular characters from the fan favorite series. The set features exlusive, original art from the following Final Fantasy veterans - Matsuda Toshitaka (Final Fantasy), Ryoma Ito (Final Fantasy Tactics A2 Grimoire of the Rift), and Roberto Ferrari (Final Fantasy Type-0). Each booster pack contains 12 cards, one of which is a premium foil card.